Earlier this year ago I shared the secrets of a machine for putting the bloom back onto cucumber, grapes and other fruits. It was one of the products of the fertile imagination of Robert Gauen, an early 19th Southampton nurseryman. In this post I’m going to take a brief look at two more of Gauen’s inventions, and apologies in advance that there aren’t as many colourful images as usual. So…any guesses as to what this strange looking device this might be? Robert Gauen obviously impressed John Claudius Loudon the great early 19thc garden writer [amongst other things]. 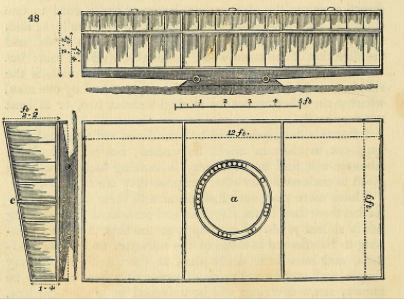 In the September 1827 issue of The Gardener’s Magazine Loudon informed his readers that “Mr Gauen, the author of the plan for blooming fruit, is about to bring forward a very ingenious invention” that had been well trialled, and would be available for purchase that November. Take a careful look at the illustration above…. If I tell you that Gauen was attempting to use solar power perhaps you will be able to work out what the device was intended to do and how it was supposed to work. But where on earth did a Hampshire nurseryman get the idea from in the first place? Although the contraption was almost certainly of Gauen’s own devising, the basic principles behind it were quite well known from the 1750s onwards. However, attempts from then on to make practical use of them had been unsuccessful. 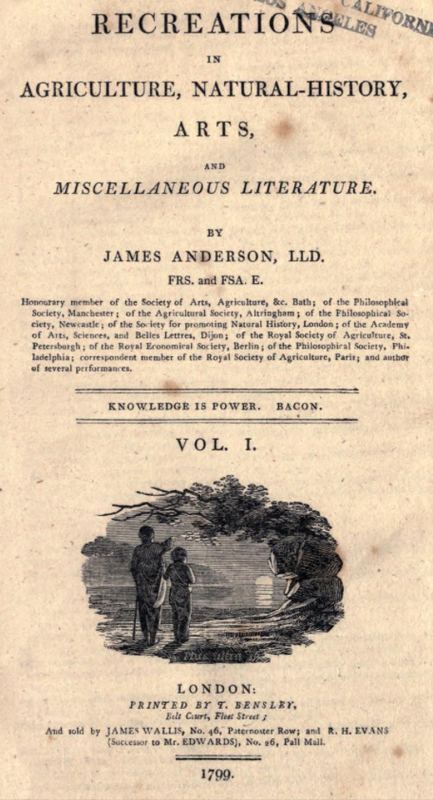 but if you’re interested in the minutiae then either check Kewley’s own account in his patent or Loudon’s Encyclopaedia of Gardening where they are explained in great detail! 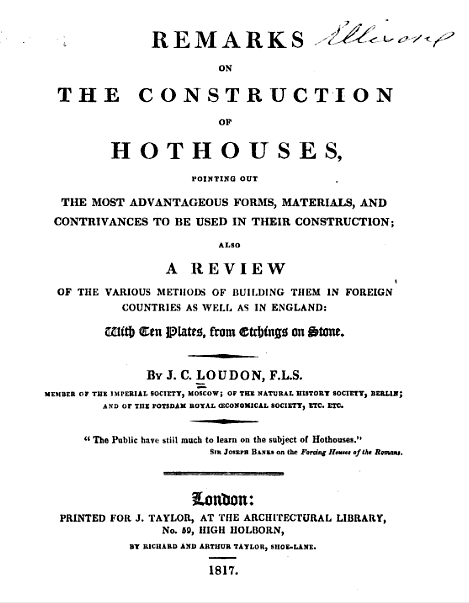 His words seem to have inspired Gauen to extend the principle of solar heating even further. Take a look at this ingenious device. Any idea what it might be? But, believe it or not, Gauen was not the only person working on such a device. 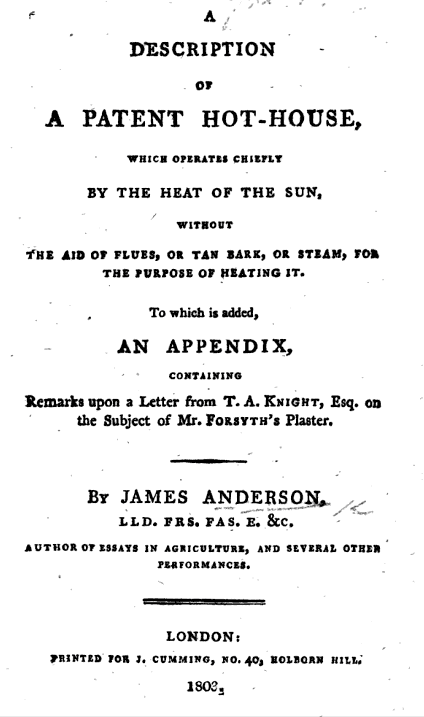 Mr Alexander Bisset, gardener to Robert Smith Esq.,of Methven Castle, Perthshire got in touch when he saw Loudon’s coverage of Gauen’s invention. I’ve been unable to trace much more about Mr Bisset or his inventions any further, so please get in touch if you know anything else about him. The potential applications of all these devices clearly interested Loudon greatly, and he called for a large number of experiments to be carried out to determine their effectiveness. Since his particular interest was in the construction and running of hothouses he was interested in the various ways they could be heated. 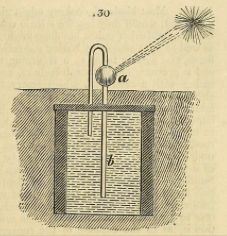 These included using gas to heat water in spiral ‘kettles’, but he also suggests that water could be heated by the concentration of the sun’s rays. Loudon foresaw the consequences of this – some form of global warming! So why is the name Robert Gauen unknown to modern horticulture? Why did his devices, ingenious as they clearly were, not sweep all the horticultural awards and revolutionise food production. Probably for much the same reason the machine for blooming cucumbers did not take off. They were incredibly complex, labour-intensive things to set up, required constant maintenance and probably didn’t work very well at all in the first place! 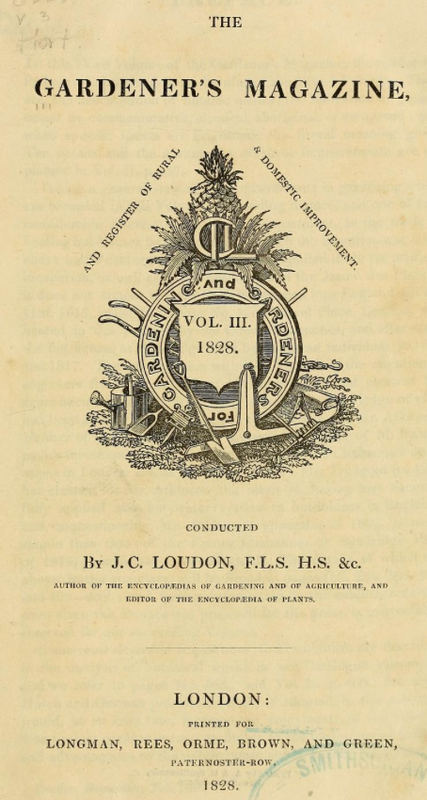 I looked almost in vain for other mentions of Robert Gauen in Loudon’s work but as far as I can see news of him disappears almost without a trace from the pages of the horticultural press. 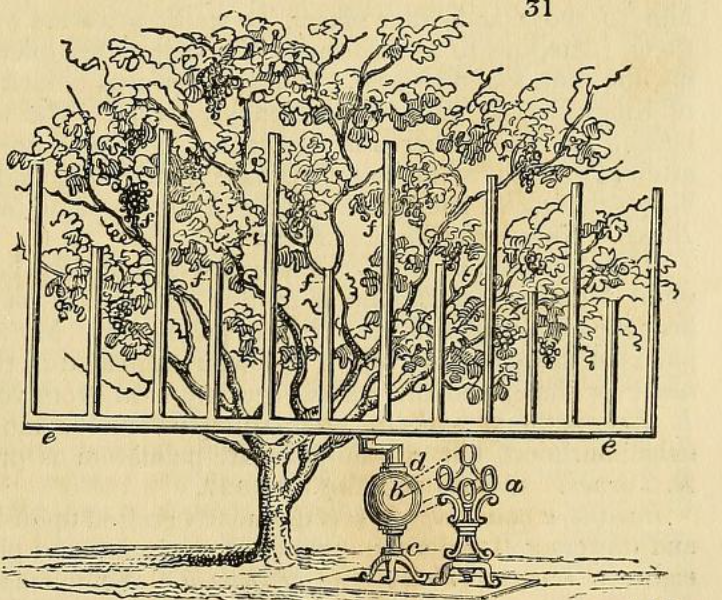 Gauen’s machine for restoring the bloom on cucumbers, grapes and other fruit from “The Art of ornamenting…” The Gardener’s Magazine Vol.3 1828. However, the main reason Robert Gauen almost disappears from the scene is probably quite simple. In 1832 he went bust, and I can only suppose that it was because he spent money trying to perfect his inventions which was not recouped from any sales. So it looks very much as if Loudon’s pleas for someone with spare cash to invest in Gauen’s experiments fell on deaf ears. 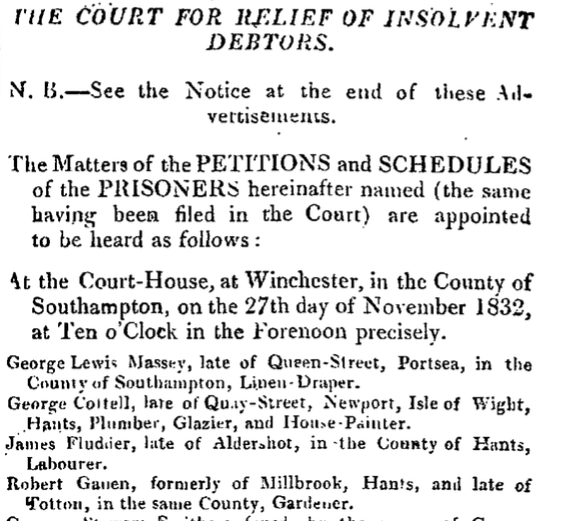 I cannot find any trace of this actually being printed so it looks as if he didn’t raise enough subscription money to proceed….so looks as if it was a sad end to a sad story and that Gauen’s invention disappeared without trace, almost like Gauen himelf. Any further information about Robert Gauen gratefully received. This entry was posted in Uncategorized and tagged cucumber, Garden tools, Gardeners Magazine, global warming, hothouse, John Claudius Loudon, nurseryman, technology. Bookmark the permalink.